Inert gas wine preservation systems preserve wines in opened bottles much better than vacuum and spray cans. In gas systems the bottles remain closed, standing on the counter or in the chiller during their service life. This eliminates repeated, exposure, agitation, and progressive absorption of oxygen into the wine -pour after pour as happens with vacuum and spray can methods. Gas systems are also simpler and faster to operate. They require only a one-time connection for the life of the bottle, not a series of vacuum or spray treatments glass after glass. Prior to the invention of littlewine™ all gas wine preservation and dispensing systems were fairly complex and expensive as well as expensive to operate. Traditional gas costs for small consumer systems run as high as $1.50 per bottle. (Up to Coravin™, that is, which apparently runs over $3.00 per bottle according to their literature!!.) Moreover, as traditional gas equipment1 relies on maintaining constant headspace pressure, their pressure seals are critical for fit, integrity, proper placement, & securing to avoid the disappointment and frustration of unintended gas depletion. It happens a lot! There had to be a better way. ProWine’s advanced electronic models had eliminated runaway gas losses, as some others have, but the solution comes at a disproportionately high cost – undesirable, even, for businesses and unaffordable for consumers. We began what turned out to be a several-year development program to eliminate the inherent failure potential of the older platforms while maintaining their superior performance. In time, we got more than we expected! Littlewine’s industry-unique gas management system is not based on the tradition of maintaining headspace pressures within the bottle, but, singularly, relieves pressure to atmosphere, de-stressing critical bottle seal points of traditional gas management methods. Gas pressurization is intermittent – on demand – only during each glass fill. The littlewine system brings simple, integrated, direct control of preservation gas flow to the user’s fingertips. Operational sensitivities are gone. Littlewine turned out to be not only goof-proof, but using the system is elegantly simple and intuitive for any user – commercial and consumer. There’s more to the performance story. Because they require constant headspace pressure, traditional gas systems need to use nitrogen or argon to avoid the potential of forced gas absorption into the wine. They are great preservation gasses, but are not easy to come by in small cylinders for consumer or smaller commercial use. Both are quite costly (and impractical) because of that. Making matters worse, the US Department of Transportation imposes a $30, separate Hazardous Materials shipping surcharge on some consumer cylinders. So without even factoring in the actual shipping cost, that puts operating costs around $2.60 per bottle. That’s an added 50-65¢ every time you pour a glass! Why? Preservation gasses serve two functions. They displace the oxygen-laden air in the bottle’s headspace to reduce destructive oxidation. 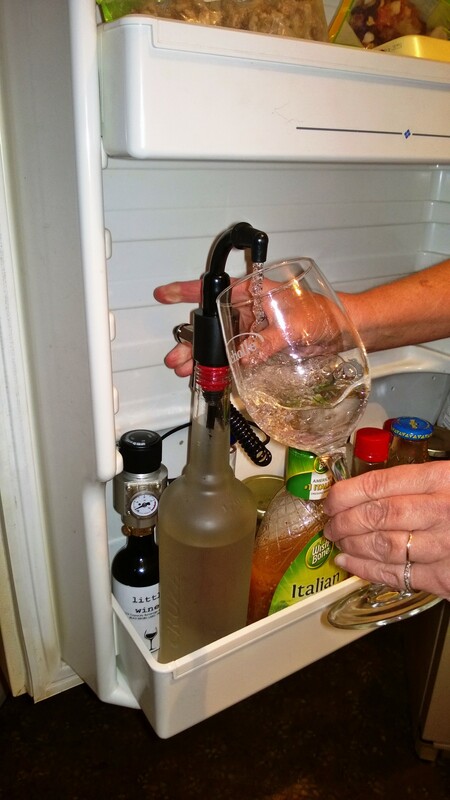 When dispensing, the pressurized gasses push the wine out through dispensing outlets. Gasses do not ‘medicate’ wine, but constant pressure will drive gas into solution in wine. With the two commonly used gasses, is known as nitrogenation and carbonation – sometimes an intentional process – just not in wine. Argon, too, can be pressure-forced into liquids, though its high cost kept it out of common practice and nobody compounded a word like “argonization”…yet, anyway! Because littlewine, uniquely, does not maintain constant bottle pressure, it does not force gas into solution. So CO2 – and all other preservation gasses – work well in the littlewine system. The opportunity of CO2 is that it’s inexpensive, ultra-efficient, refillable, and readily available vis-à-vis things like culinary arts, paintball, and home soda systems like SodaStream®. 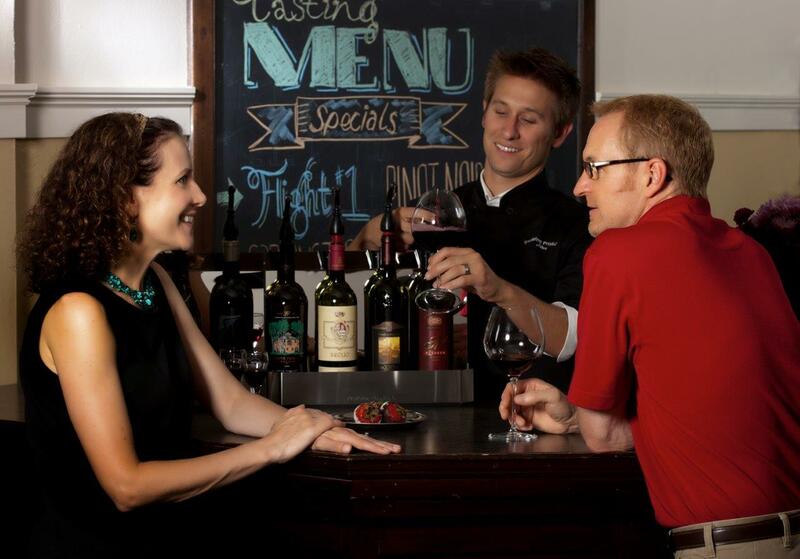 As we furthered our research and trials, we found that comparably-sized, compact, disposable CO2 cylinders preserve and serve 4-5 times the number of wine bottles that the industry’s standard, disposable nitrogen and argon cylinders serve. This performance advantage gets better because CO2 and CO2 refills only cost a fraction of disposable cylinders! (…and no wonder, BTW – there’s enough steel thrown away with every disposable to make a decent pocket knife…) Now, at only pennies per bottle, routine operating costs of a gas-based preservation system is affordable for all. A single SS cylinder will preserve and dispense over 200 bottles! With that benchmark realized, ProWine has de-complicated the industry. For a time we developed and marketed a range of optional and admittedly extraneous, glitzy forms the system could adopt, but ultimately resolved to keep littlewine little – as elemental as possible. In routine use, pulling the cork from the bottle takes more effort than using littlewine! Even initial out-of-the-package setup takes only a few minutes. The result is an everyday system that works for anyone who just wants to settle down with a good glass without a bunch of commotion. White wine lovers can even keep the system in their refrigerator’s condiment tray. LW1 Solitaire and LW2 Duo Models, are shipped ready to couple-up with your refillable SodaStream® cylinder. Flexibility. High performance. Low cost. 1 Traditional inert gas preservation systems referenced include WineKeeper, NitroTap, Enomatic, By The Glass, Cruvinet, WineSaver, Vinotemp, and ProWine – our own brands – OZ Winebars & n2Vin systems – with all due respect to their manufacturers’ and distributors’ trademarks.